The Supreme line of ammo is the most technologicallyadvanced centerfire ammunition money can buy. 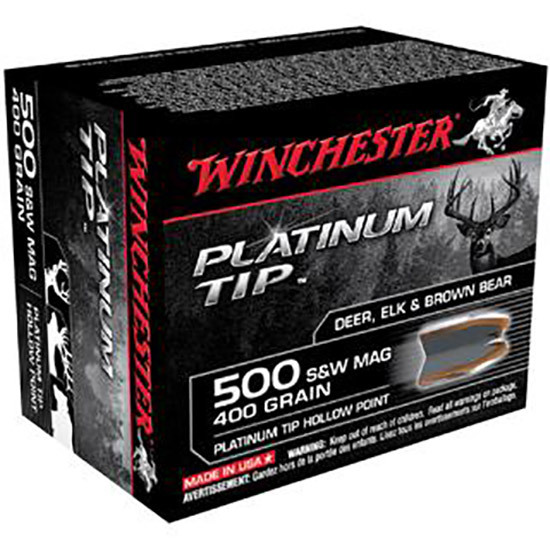 The Platinum Tip Hollow Point features a patented notched reverse taper bullet jacket. Plated Heavy Wall Jacket and 2part Hollow Point Cavity for Uniform Bullet Expansion. With massive energy depo the 44 Remington magnum Platinumtipped HP is just right for bringing down whitetail and mule deer while the 454 Casall will help bag those thickskinned trophies like elk and caribou.